Shop online for 126 cal model trains at discounts up to 47%. 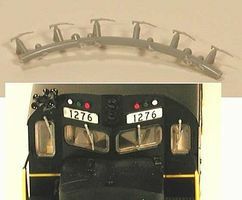 This is the HO Scale Lift Rings .012 Wire (20) from Cal Scale Products. 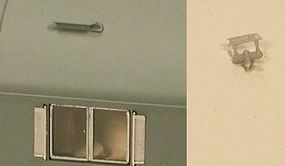 This is the HO Scale Windshield Wipers (6) (Plastic) from Cal Scale Products. 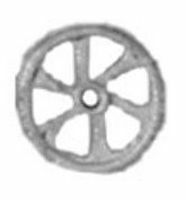 This is the HO Scale Brass Brake Wheels (6) from Cal Scale Products. 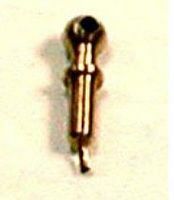 This is the HO Scale Sinclair Antenna (4) (Plastic) from Cal Scale Products. This is the HO Scale Nathan P5 5 Chime Air Horn All Forward from Cal Scale Products. 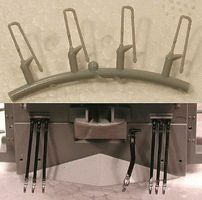 This is the HO Scale AB Brake System (Plastic) from Cal Scale Products. This is the HO Scale Bell & Bracket from Cal Scale Products. This is the HO Scale 3-Hose MU Hoses (2pr) from Cal Scale Products. This is the HO Scale Nathan P5 5 Chime Air Horn 3 Forward/2 Back from Cal Scale Products. This is the HO Scale Leslie S3LR3 3 Chime Air Horn 2 Forward/1 Back from Cal Scale Products. This is the HO Scale Diesel Bell & Bracket from Cal Scale Products. This is the HO Scale Locomotive Air Hose (2) (Plastic) from Cal Scale Products. 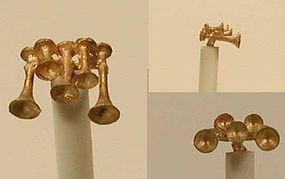 This is the HO Scale Leslie 3 Chime Air Horn from Cal Scale Products.